Whether you encounter him in person or in print, one of the most striking things about the Canadian theologian Douglas John Hall is his voice. Not quite placeable in geography or tone, it nevertheless suggests not just erudition, but a select upbringing and an elite education enjoyed from day one. 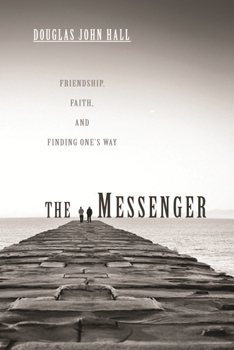 And so it comes as a bit of a shock when, early in his book The Messenger: Friendship, Faith, and Finding One’s Way, Hall lets the truth be known: Douglas John Hall was a high school dropout. Born in 1928 and raised in the village of Innerkip near Woodstock, Ontario, Hall left his regular schooling at age sixteen to take a one-year course at a local business college in order to help support his financially strapped family; he was the eldest of six children. He soon found work in the business office of the local newspaper, and four years later was admitted to the Royal Conservatory in Toronto to pursue music composition and piano performance. But a year later, he sensed the call to Christian ministry and was admitted to the University of Western Ontario on a probationary basis because he lacked a high school diploma. Despite these precarious educational beginnings, following college Hall immediately attracted offers of graduate study from the most prestigious theological institutions in North America. He opted for Union Theological Seminary in New York City, where his teachers included such luminaries as Reinhold Niebuhr, John Coleman Bennett, and Paul Tillich. Hall also crossed paths with the likes of Phyllis Trible, Beverly Harrison, Malcolm Boyd, Walter Wink, Edward Farley, and Rhoda Palfrey, who would become his wife, as well as international figures like M. M. Thomas, V. C. Samuel, and Masao Abbe. And so, yes, Hall did enjoy what many would consider an “elite education.” But clearly, such an outcome was as unlikely as was his emerging as one of Canada’s premier theologians and an essential voice in North American Christianity. While it does chronicle the education of a young theologian, The Messenger is not Douglas John Hall’s intellectual autobiography (more of that dimension of his life can be found in his books Bound and Free and Remembered Voices). He describes classes with Niebuhr and Tillich and recalls meeting Karl Barth, but does not analyze at any length how these teachers influenced his thought. (He does detail an intense discussion he and Rhoda had with the Jewish scholar Emil Fackenheim and his wife Rose over the uniqueness of the Nazi Holocaust.) Rather, The Messenger is a loving homage to a beloved mentor and a memoir recounting an organization that Hall describes as having been extremely influential among a generation of professors and pastors in post–WWII Canada. The mentor was Robert “Bob” Miller, a United Church of Canada minister whom Hall met at a young adult church retreat. Miller served for many years as a traveling study secretary for the Student Christian Movement (SCM) in Canada, an international youth-led organization founded on the belief that Christian faith is worthy of academic study. After stepping down from that position, Miller founded and managed the acclaimed SCM Book Room in Toronto. Hall details Miller’s painful resignation from this endeavor after new student leaders found his management style dated and authoritarian. Miller went on to establish the Bob Miller Book Room, which drew readers from far and wide to scour its formidable inventory of theological tomes. 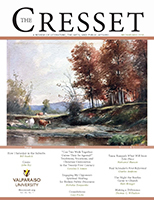 The Messenger may be read in part as an attempt to vindicate Miller’s reputation following a situation with SCM that Hall and many of his peers found unjust and unconscionable. At the same time, the book also becomes a memoir of the SCM. Most of the original leaders of the World Council of Churches emerged from this movement, and the British chapter founded the renowned SCM Press. Hall celebrates not only the mentorship that he received from Miller, but his mentorship from SCM as well. Indeed, for Hall and many others, SCM held more influence in their academic training than the university itself. Hall captures how parachurch organizations like SCM hold the power to do great good by bringing together people and resources and inspiring their best efforts for church and society. Yet he also shows how such groups can fall into disarray and cause great hurt. Hall clearly laments what he sees as SCM’s falling into the lure of shallower theological trends that emerged in the 1960s, which led to Miller’s virtual ouster from an organization to which he had devoted so much of his energy and passion. Hall has formidable gifts in crafting lively, accessible theological commentary, but he is less accomplished in writing extended narratives, as this sort of work demands. His feelings for Miller and SCM are clearly affectionate and passionate, but the text is laden with details, names, and side stories that do little to advance the story he is telling and that hold meaning mainly for a Canadian audience. We see Miller primarily in his and Hall’s sporadic personal encounters and in the periodic letters he sent (Hall’s side of the correspondence is missing from the volume). While these do give a sense of Miller’s way with words and how those might have impressed an aspiring minister and theologian, they don’t do enough to support Hall’s assertion that Bob Miller was exceptional among his generation of theological thinkers. Describing Miller as “a quiet Kierkegaardian,” Hall concedes the inadequacy of his portrait, given that his subject was in many ways an elusive figure, not given much to personal introspection. And his extended discussion near the end of Miller’s rumored homosexuality (which is never ascertained) sheds more light on Hall’s thoughts on sexuality than on Miller himself. The Messenger, then, is a minor addition to Hall’s extensive oeuvre, of interest for its portrait of Canada’s Protestant educational culture after World War II. Nonetheless, for all its modesty, it is essential to those who want to learn more about Douglas John Hall. It is an elegiac volume, the work of a formidable intellect looking back on his personal formation with both fondness and some sadness. Here Hall does for himself what he has long done for theology in general: he provides the context within which his influential thought gestated and was nurtured. Ironically, it is when he briefly turns to the sort of theological discourse that is his forte that The Messenger comes most alive and Hall’s distinctive voice emerges. For Douglas John Hall is first and foremost a theologian of contextuality. His insistence that all theology must be understood relative to the context in which it is formulated is his most distinctive contribution to Christian theology. Many people know him primarily as a “theologian of the cross,” for his work on stewardship, and his trenchant commentary on the disestablishment of Christianity in North America. However, his analysis on all these topics is rooted in his work on contextuality. His magnum opus is his three-volume systematic theology subtitled Christian Theology in a North American Context. That trilogy’s first book, Thinking the Faith (1989), which focuses on contextualization as theological method, is to my mind the pivotal book of his five-decade-plus career. 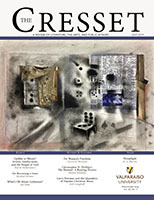 (Full disclosure: when I was on the staff at Fortress Press, I was an editor for that volume and several other Hall books). Many reviewers misunderstood Thinking the Faith when it first appeared, arguing that a book on theology “in a North American context” should naturally address first and foremost theologians who have emerged and done their work within that context. Such a misreading is unsurprising, given that many contemporary North American theologians are concerned with contextuality primarily in terms of “social location.” That is, they assert it is the theologian’s conscious engagement with his or her own geographical location, race, ethnicity, gender, sexual orientation, and so forth that is the context for shaping one’s theological constructions. Hall is hardly unaware or inattentive to his social location; he is fully cognizant that he is a middle-class, white, Canadian male living in urban Montreal. But rather than privilege social location, thus putting the theologian first, Hall gives pride of place to the theology itself. In Thinking the Faith and throughout the trilogy, he examines how Christian theological ideas and traditions derived primarily from Northern Europe change when they are set within the context of the United States and Canada. So, his relative inattention to feminist thought, African-American religion, and liberation theology is neither oversight nor ignorance; he deliberately focuses on the admittedly mostly white-male heritage that has shaped Western Christian thought, translated into the North American context. For Hall, it is only such intentional examination that allows us to construct theologies that fit postmodern Christians in this era of disestablishment, diversity, and pluralism, yet remain true to the cross of Christ. If one reviews Hall’s books over the course of his career, those aforementioned topics—the theology of the cross, stewardship, and disestablishment—are what he addresses again and again. Indeed, Hall has told me in personal correspondence that “In a way, the whole output was ‘announced’ in my doctoral dissertation, ‘The Suffering of the Church.’” And so, while one does not notice great shifts in his thought over the years, his books do demonstrate how those key ideas relate specifically to the contexts in which they are being considered. For instance, in 1976’s Lighten Our Darkness: Toward an Indigenous Theology of the Cross (the first of his books to gain wide notice in the United States), his exposition of that theology is examined in the light of Watergate, Vietnam, nuclear threats, and the communist bloc. 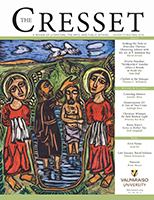 Later, in 2003’s The Cross in Our Context: Jesus and the Suffering World (to my mind, the best single-volume explication of his concerns), Hall analyzes the theology of the cross in light of the 9/11 terrorist attacks, the Iraq and Afghanistan wars, American imperialism, and the climate crisis. Both books offer a common understanding of the cruciform nature of Christian existence, but one refracted through a changing context. 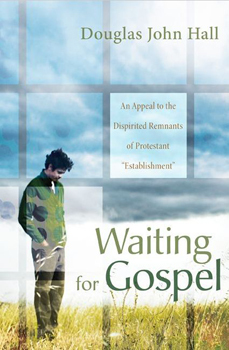 Waiting for Gospel: An Appeal to the Dispirited Remnants of Protestant “Establishment” is Hall’s latest accounting on these perennial themes. A variation on the book’s opening sentence easily could have served as the beginning of any number of his earlier books: “The essays in this volume are all expressions of their author’s concern for the critical situation of the so-called Mainline Protestant denominations, especially (though not exclusively) in the North American context.” There you have it: the concern over Protestant disestablishment, the focus on context. Less obvious, though clearly implied as one reads further, is that “the author’s concern for the critical situation” has not just to do with the effects of disestablishment, but the ways in which the denominations are responding to this situation. And so I come back to that voice. One of the pleasures of reading Douglas John Hall is that, at his best, one can hear his distinctive speaking voice coming through the words on the page—the stressed words and phrases, the intellectual passion, his respect for his audience. One of the reasons that Hall is so popular with pastors and many Mainline seminary professors is that he has a way of making his reader feel smart without ever stooping to cheap flattery or overt ingratiation. Waiting for Gospel feels like Hall’s latest dispatch in a long-term dialogue with his—well, his mentorees. In many ways, Hall serves his core audience in the way that Robert Miller served him—as a beloved mentor gently and unapologetically prodding his protégés to deliberate, disciplined theological thought. As cultured as his voice may sound, his humble roots prompt him to identify deeply with his interlocutors. Speaking of interlucutors, Hall’s voice is always sharpened by those whom he cites, and so here, as elsewhere, his old teachers Reinhold Niebuhr and Paul Tillich put in appearances, as do those whom he particularly admires, such as Dietrich Bonhoeffer, Søren Kierkegaard, Jürgen Moltmann, Rosemary Radford Ruether, Karl Barth, Dorothee Soelle, John Calvin, and, of course, Martin Luther. Hall has always been unusually generous in his engagement with other theologians; he sets his voice within a community of thinkers mostly out of appreciation and admiration rather than to provide critical contrast. And if his public profile is not as prominent as some of these peers and influences, his nearly unparalleled eloquence in setting forth his ideas makes it clear he fully belongs in their company. The final essay in Waiting for Gospel is entitled “A Latter-Day Kierkegaardian Attends a Megachurch,” wherein Hall demonstrates a slyness that has only occasionally emerged in his work, most noticeably in his 1998 epistolary apologetic Why Christian? For Those on the Edge of Faith. But for whom did he write this piece? As a collection of diverse essays and lectures, it is odd and ironic that Waiting for Gospel provides readers with no clues of their initial contexts. After all, given Hall’s emphasis on contextuality, one wants to know when and where these pieces originated. This is puzzling in an otherwise satisfying collection that invites readers to consider what relevant, responsible theology might look like in the North American context. Douglas John Hall turns eighty-five this year. He has told me that his just-released book, What Christianity Is NOT: An Exercise in “Negative” Theology, will be his last. Given that there has always been an apophatic dimension to Hall’s work, this title seems a fitting way to end a distinguished writing career and promises to add one more thickening ingredient to his remarkable theological project. Hall’s accomplishment is marked by the gracious eloquence with which he urges us to think—carefully, deliberately, expansively—and thus to bring our own contextualized voices to proclaim the gospel that the church—and the world—has been waiting for. He has gifted us with an enduring method for doing that essential work and a canon that deserves our ongoing attention, for its concerns will surely not disappear any time soon. David B. Lott is a freelance book editor living in Washington, DC. He is the editor of an anthology of writings by Douglas John Hall that will appear this fall from Fortress Press.